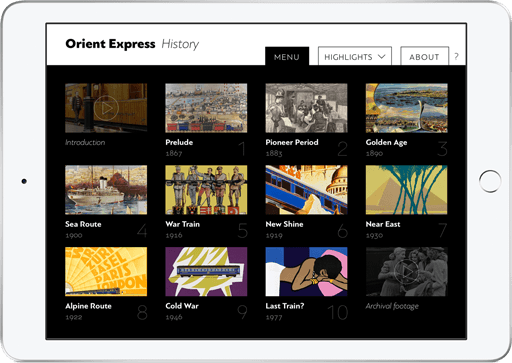 50% discount on Orient Express History for iPad to mark Kenneth Branagh's Murder on the Orient Express movie! 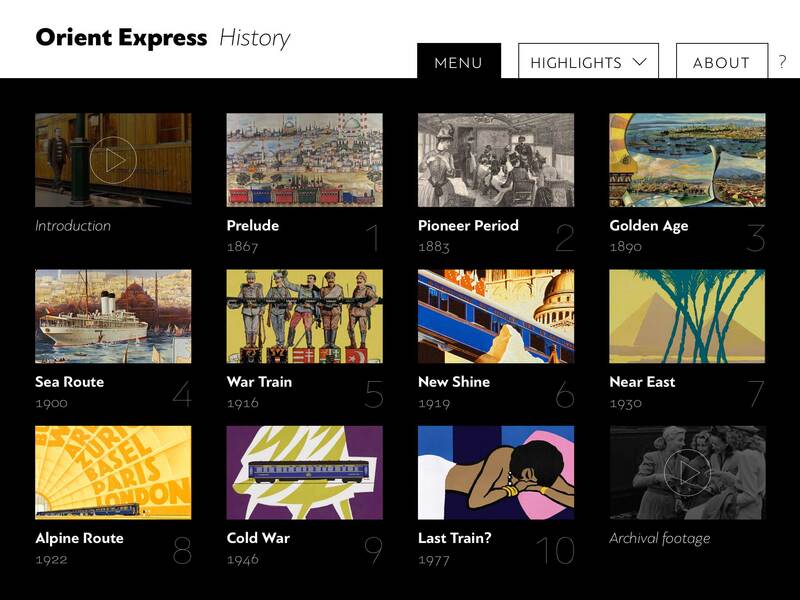 This informative iPad app and eBook covers over 100 years of history of the world's most famous train. 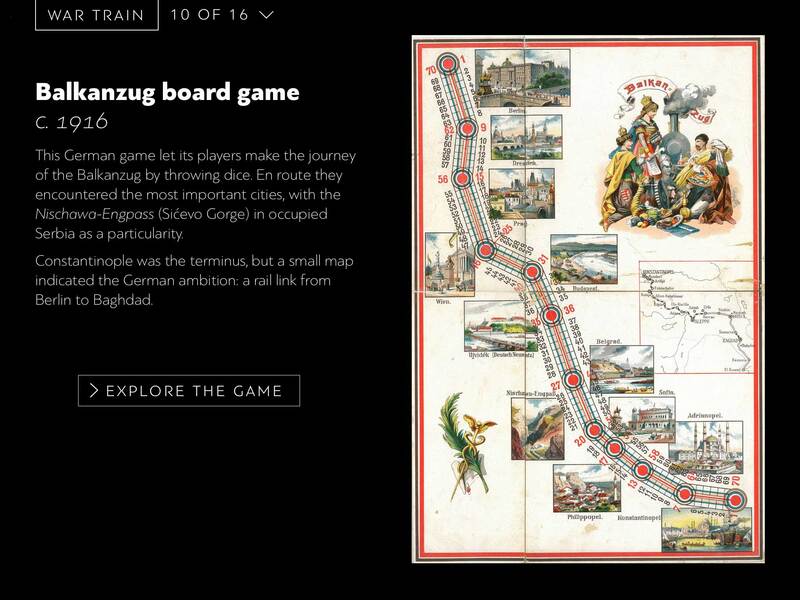 The story is richly illustrated with images, maps and interactive elements. 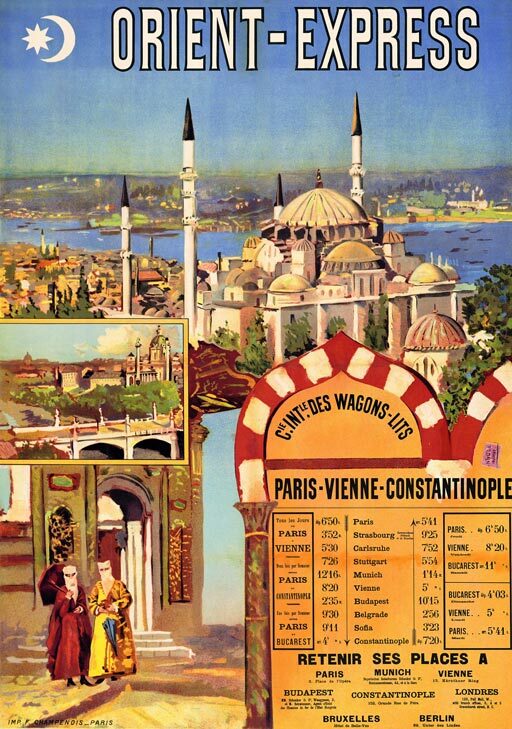 The Orient Express — a luxury train linking Paris to Istanbul — was closely connected to European history and culture from the Belle Époque to the Cold War. 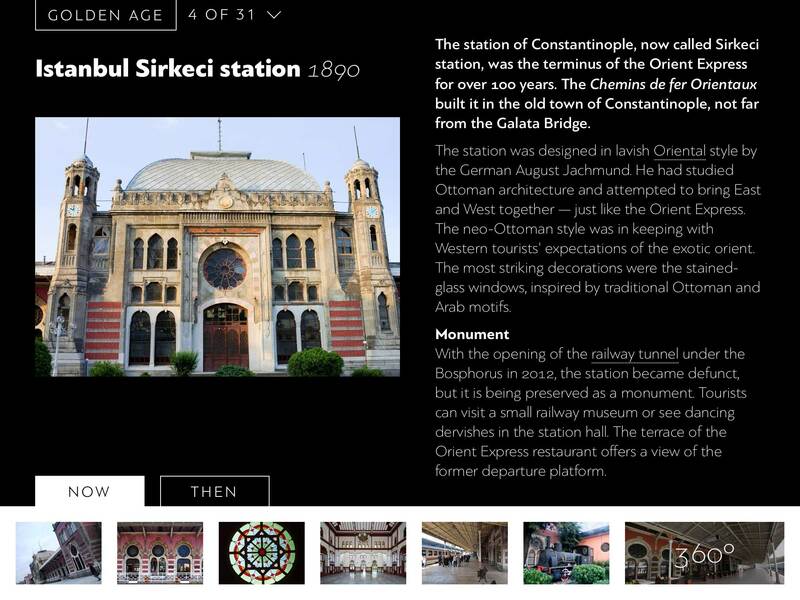 The app will appeal to history lovers, travel aficionados and design enthusiasts. 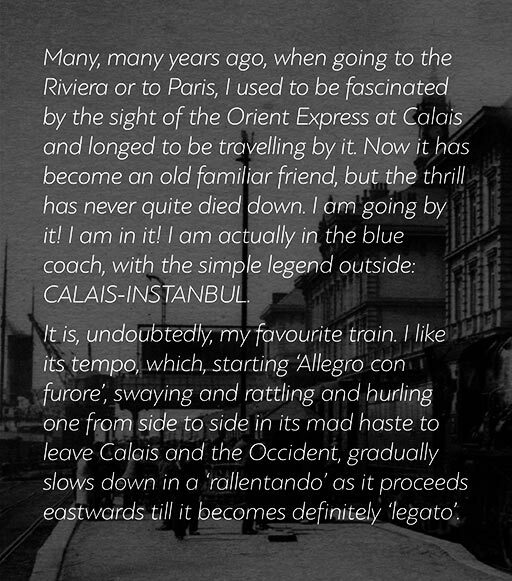 The fascinating story of the Orient Express is told in ten parts: from Prelude to Last Train. 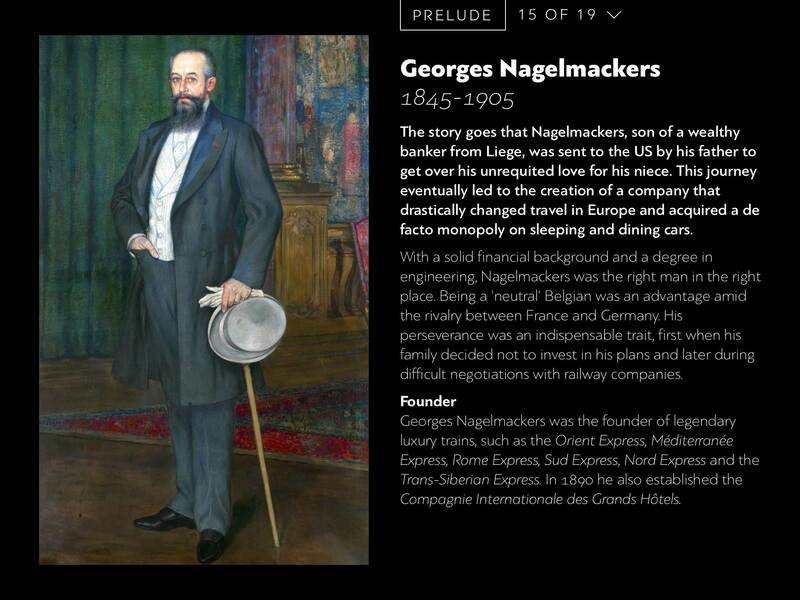 Each chapter consists of concise text, lavishly illustrated with historical images. The first chapter is available for free (PDF with full text and images). 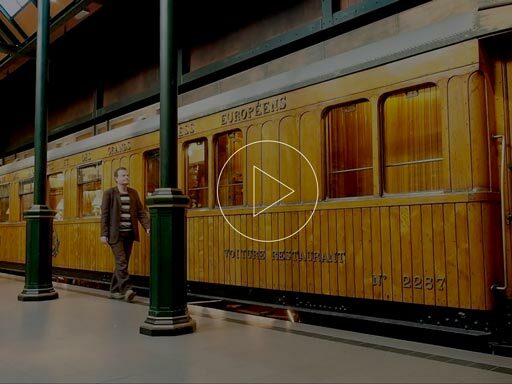 The luxury train gained an aura of thrilling intrigue — partly thanks to books and movies such as Murder on the Orient Express. 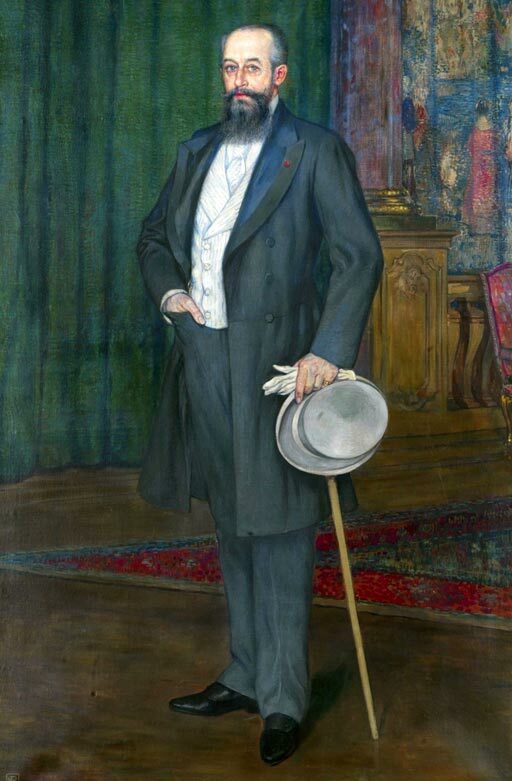 Research for this app revealed that this was not only fiction: some actual murders did take place. 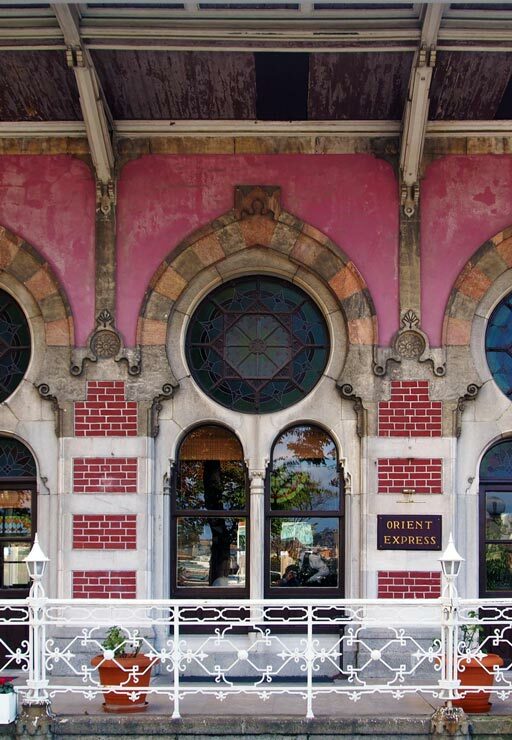 The first Orient Express left in 1883, but when did the last one run? It's a question without a definite answer. 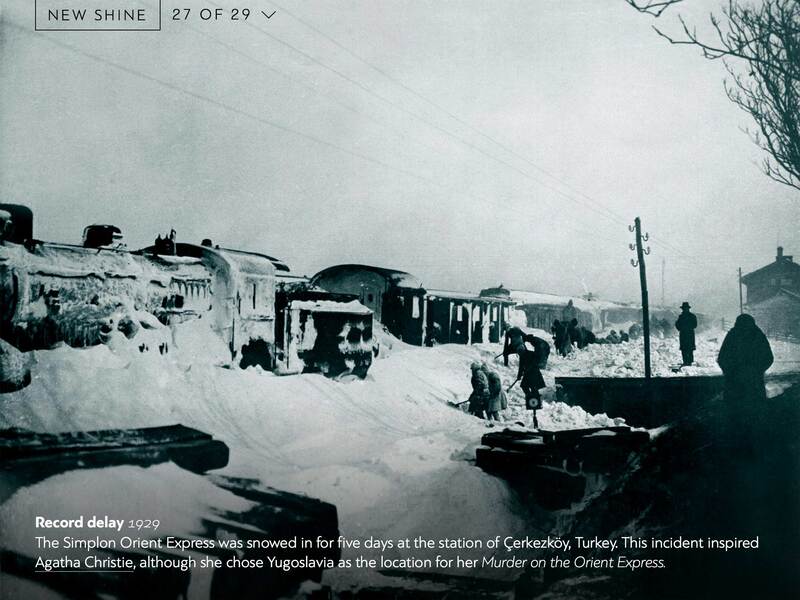 From the 1950s onwards the Orient Express gradually lost its shine. 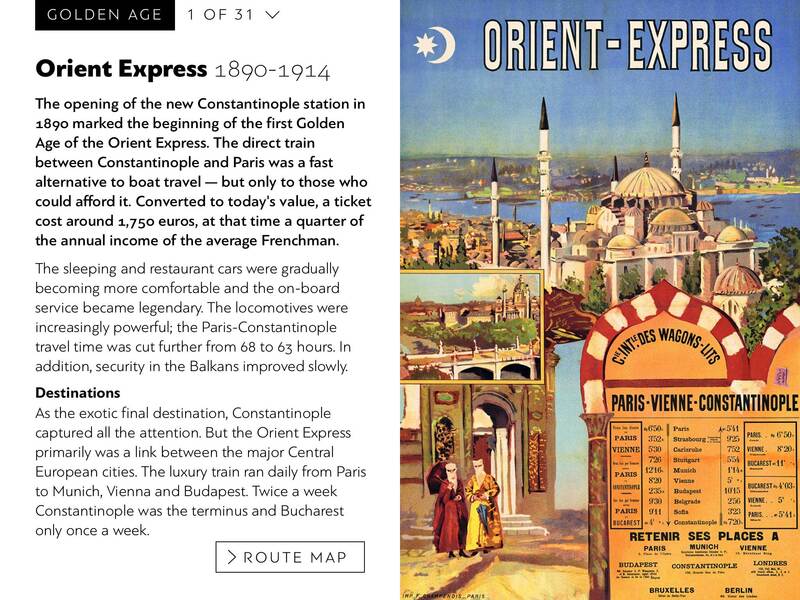 Today nostalgia trains are still picking up on the luxury image of the Orient Express. 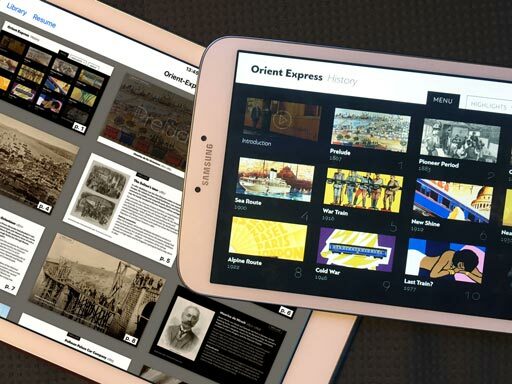 The Orient Express History app was born out of personal fascination of its creator, Dutch author Arjan den Boer, who delved into the subject for over 10 years and started his own collection of posters, brochures and photographs. About half of the featured images come from his collection, the rest is from museums, archives, libraries and other collectors. 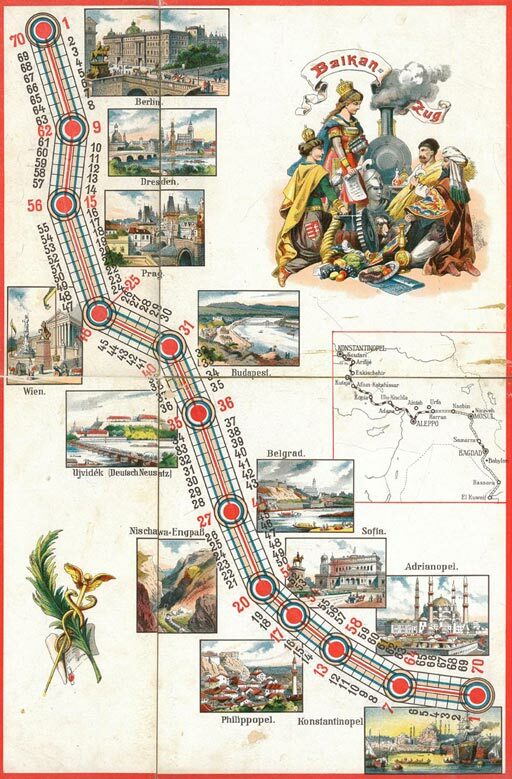 Arjan den Boer is also the creator of RETOURS digital magazine on railway history, design and photography. 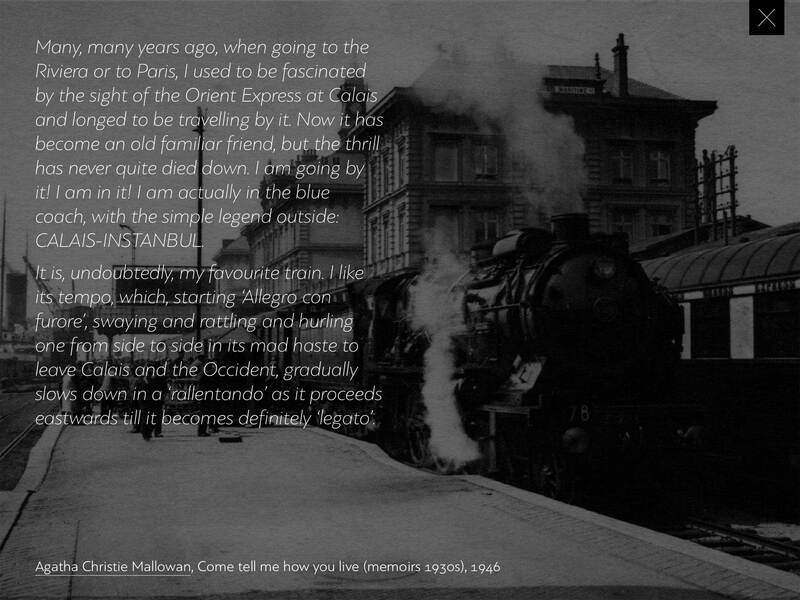 He contributed the Orient Express chapter of the book Meals on the Move: Dining on the Legendary Railway Journeys of the World (Reaktion Books, London 2018). 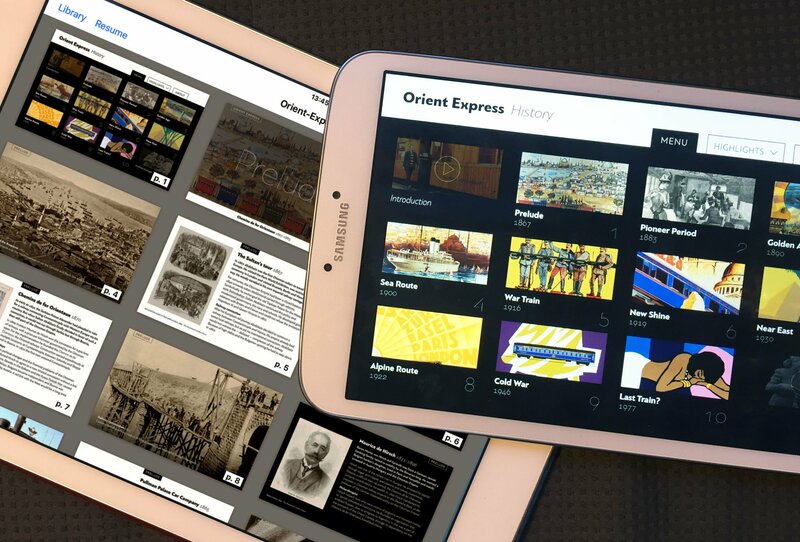 Orient Express History was originally created for iPad and has been adapted to eBook format for other users. 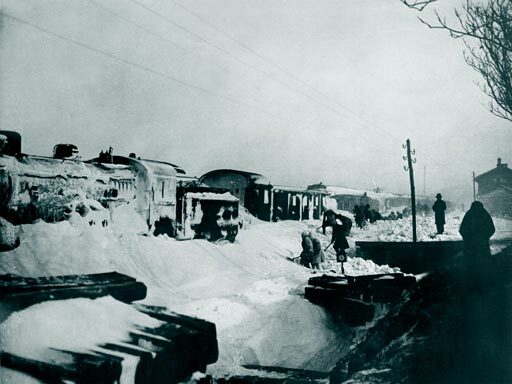 Orient Express History and its publisher have no relationship with the owners of the trademarks Orient Express, Wagons-Lits and other trademarks that are used descriptively in the text. Published by Arjan den Boer, Traiecto, Utrecht, The Netherlands. E-mail info@traiecto.com.